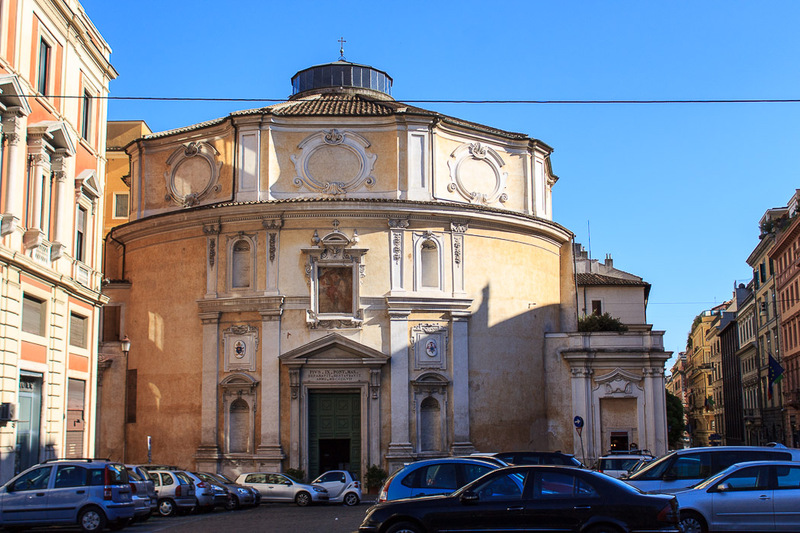 The small church of San Bernardo alle Terme was built on the reconstructed western round tower of the exedra of the Baths of Diocletian. 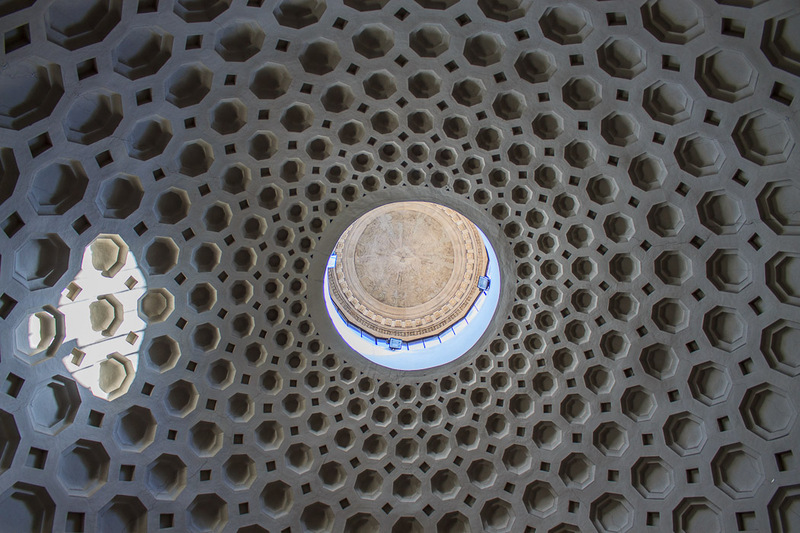 It has a beautiful circular design with geometric marble flooring and a light-filled coffered ceiling with an oculus, a small version of the Pantheon's dome. While I visited, Friars were praying, making me feel guilty to click my shutter, so there aren't many photos below. 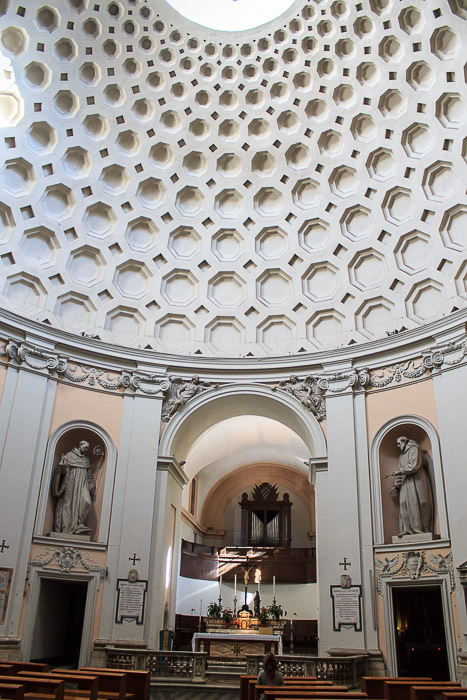 See all San Bernardo alle Terme photos.